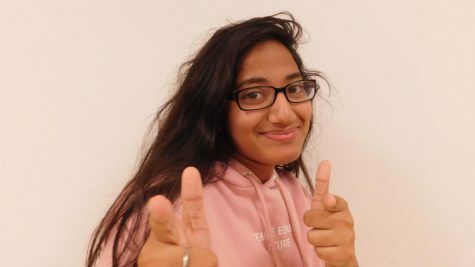 This is Yashna’s second year in newspaper and she is a junior in the IB program. Since her parents are both from Bangladesh, her diet consists of rice and curry. When she has free time, she enjoys reading romance and realistic fiction books and writing short stories. One weird and unexpected thing about her is she has a huge obsession over Hello Kitty. In fact, she collects holiday themed stuffed Hello Kitties when they are on sale at Walgreens. She aspires to be a psychiatrist and write children's books one day.